Great news for the Hudson Valley film community! The New York State Senate has just passed legislation extending the New York State Film Production Tax Credit to additional Hudson Valley counties. Qualified labor expenses shot in Greene, Ulster, Dutchess, Columbia, Warren, Saratoga, Washington, Rensselaer, Sullivan, Orange, Putnam and Suffolk counties will now receive a 40 percent fully refundable tax credit. The Hudson Valley, already a popular filming location, will attract more filmmakers with the incentive. Local studios will now have the chance to compete for TV shows and films that were previously lost to other states or Canada. 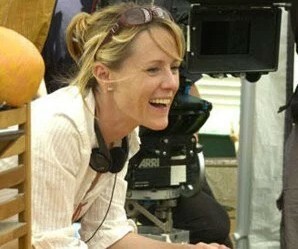 The tax credit also paves the way for actress Mary Stuart Masterson who plans to open a studio combining film production, crew training and technology ventures in Kingston. Masterson’s studio, combined with the tax credit, will bring many new local jobs to the area. Cold in July trailer, a film shot in the Hudson Valley starring Michael C. Hall and Sam Shepard, shot in 2013.